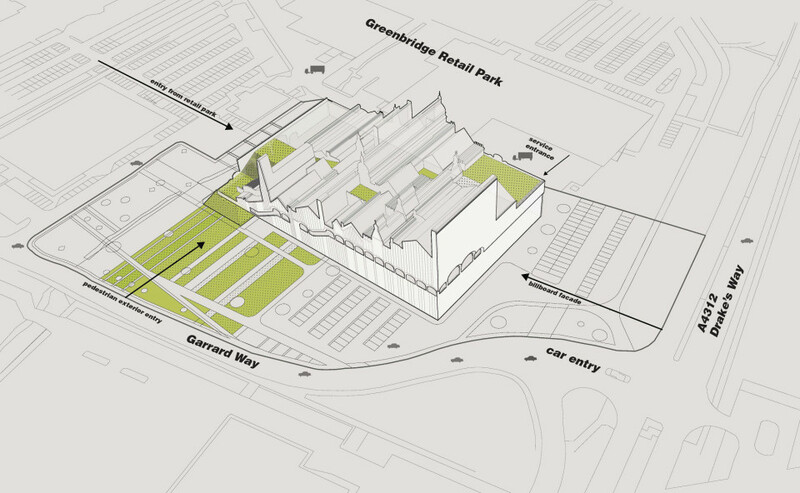 This project proposes a Tate Merchandise production and storage center for the Tate Gallery in the Greenbridge Retail Park of Swindon. 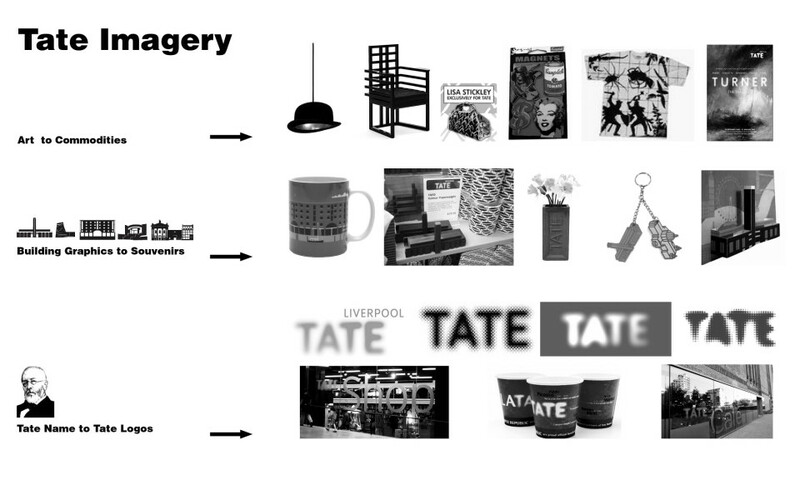 The Tate, more than most museum institutions, has spent a considerable investment on their branding and advertisement strategies. 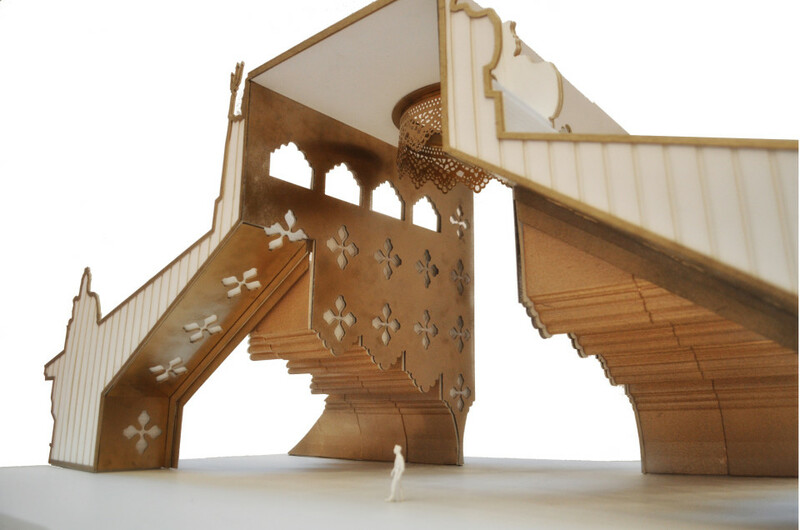 This project aims to offer a critique on the commercialization of art and museumification of their gift shops. 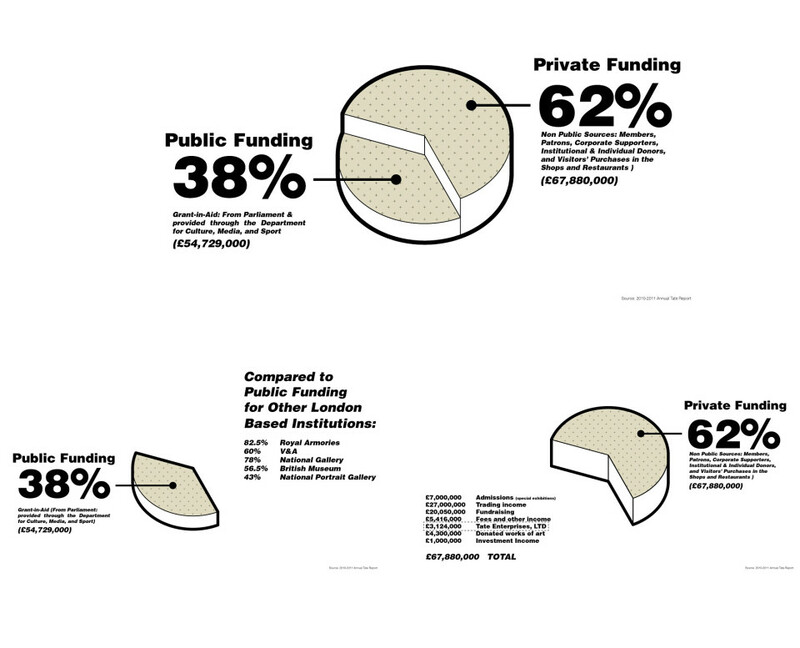 The Tate Gallery receives the least amount of funding (38%) from the Government Grant-in-Aid program when compared to other major London based institutions such as the Royal Armories (82.5%), the V&A (60%), the National Gallery (78%), the British Museum (56.5%), and the National Portrait Gallery (43%) . The shortcomings of government aid have resulted in a restructuring of the Tate towards a commodity driven business model. 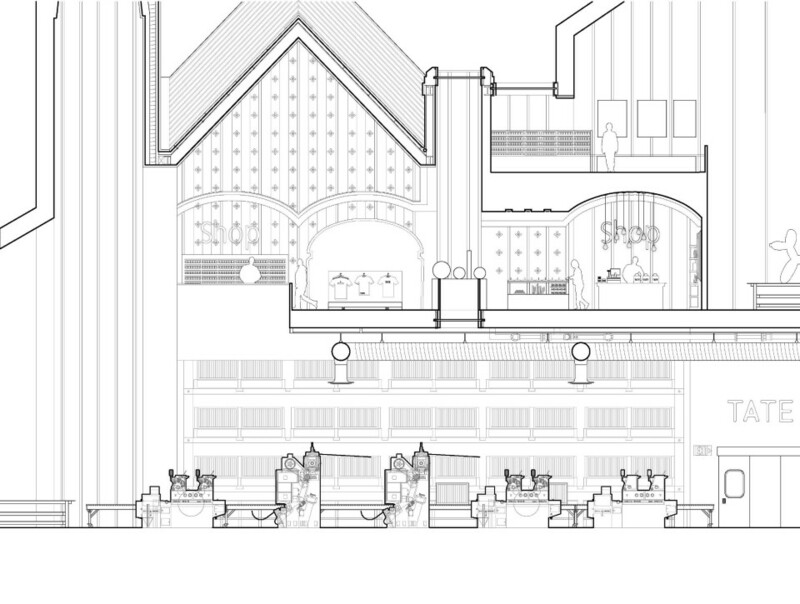 Tate Enterprises is a subsidiary of the Tate Gallery and oversees the publishing, shops, and catering divisions. 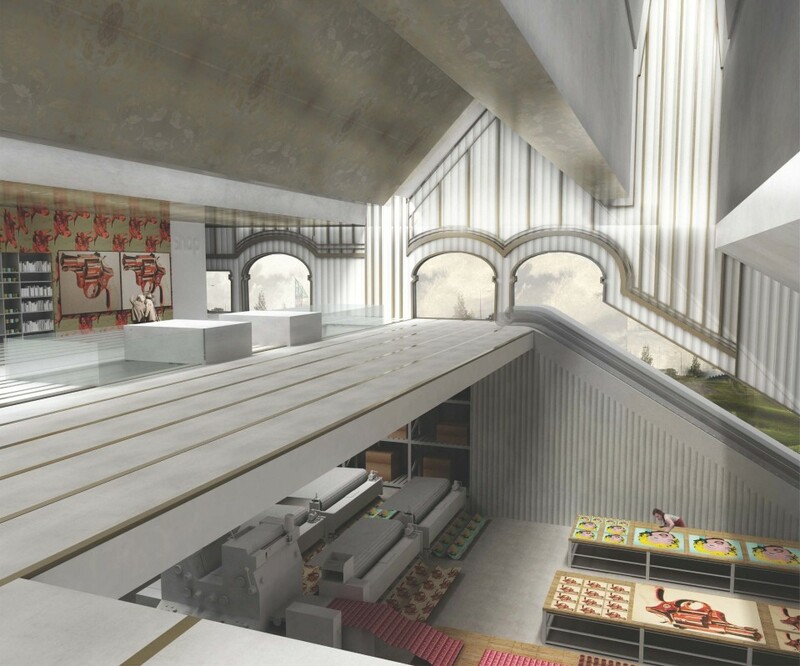 While the division doesn’t generate the majority of the revenue for the Tate Gallery, the products generated develop brand recognition and repeat visits. Tate Swindon operates as an integral part of Tate Enterprises as it houses the production and storage of the gift shop. 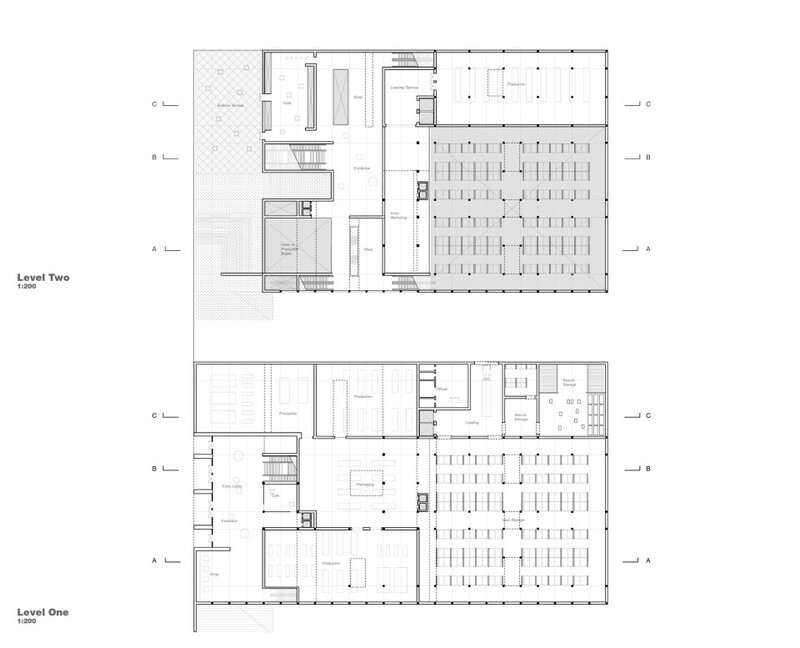 Additionally, the program of Tate Swindon integrates a public component of shopping to allow the consumption of Tate products to occur simultaneously with the production. The items produced at Tate Swindon range from large scale mass print reproductions to custom replications commissioned by artists. The diverse range from high culture to mass pop culture art is reflected in the reproductions on every scale. 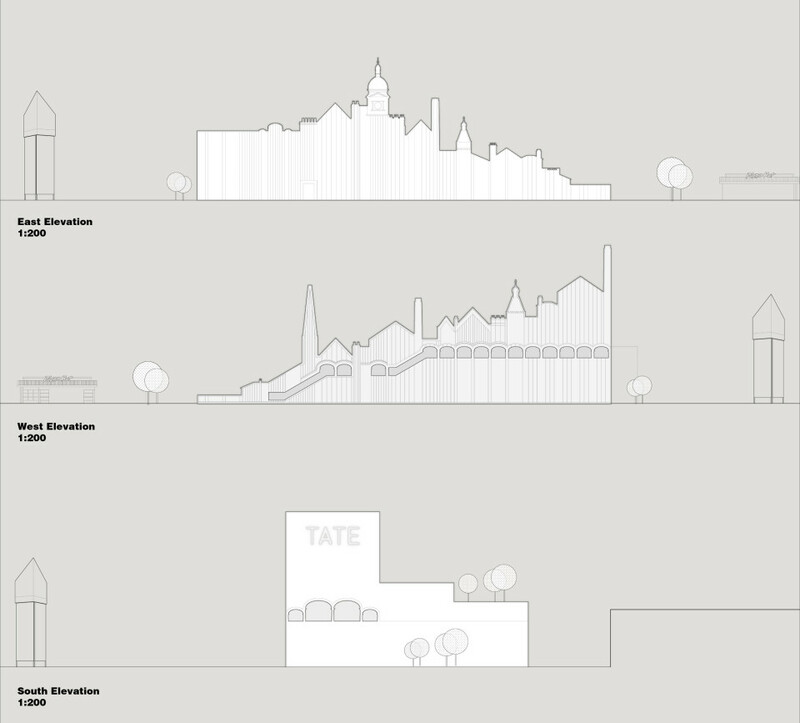 The formal strategy for Tate Swindon samples the four Tate Galleries and combines them as an extrusion atop a generic big box. 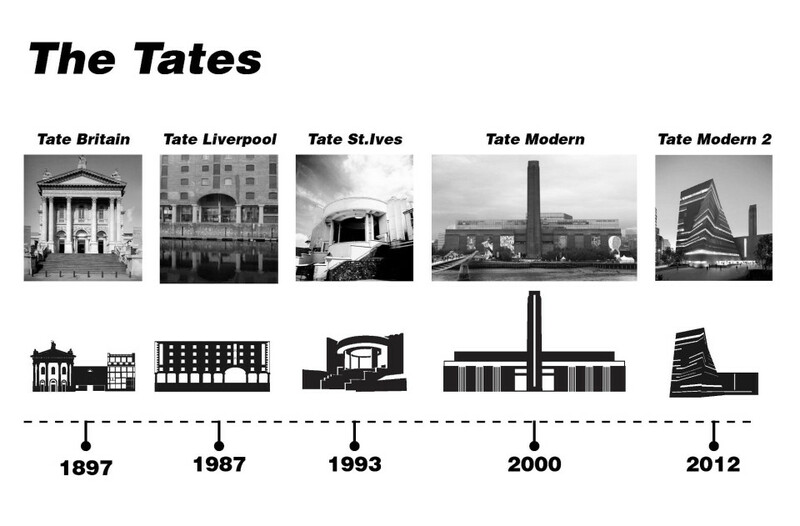 The ambition to sample the existing forms was driven by the Tate’s strategy of repeat logo and brand recognition. 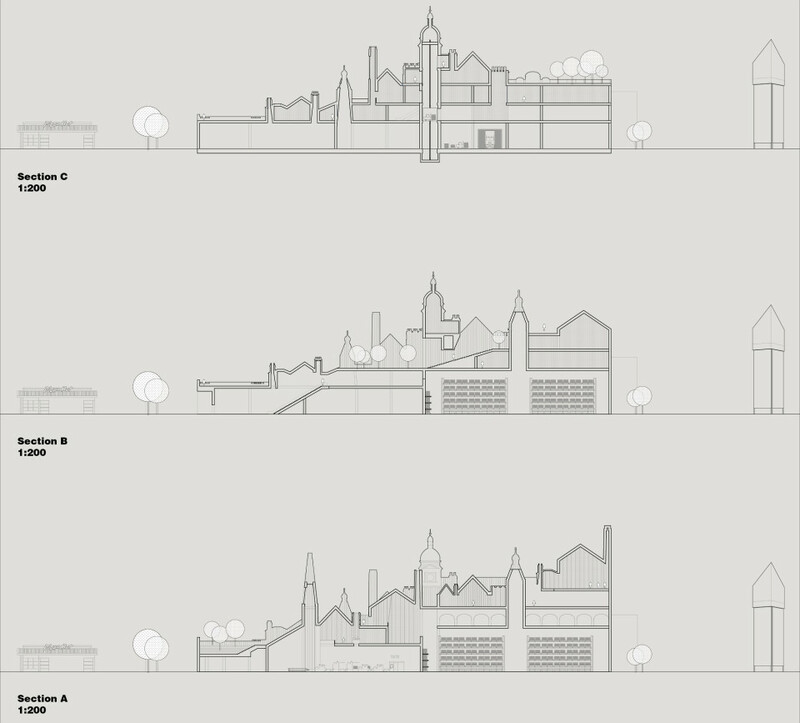 Instead of repeating the Tate Logo, Tate Swindon repeats the building forms and rearranges them to become a town of shopping above the production. 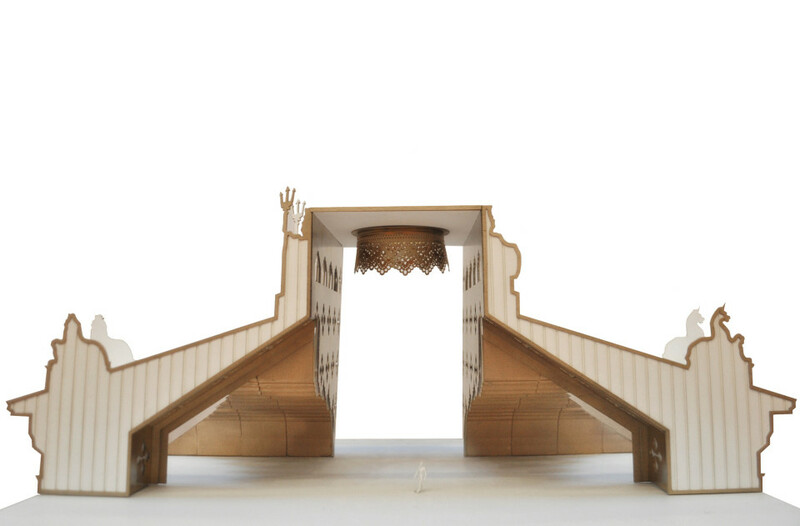 The extrusion in one direction addressed an Urban to create flat “billboard” facades from the main street while the articulated facade addresses the public entry. 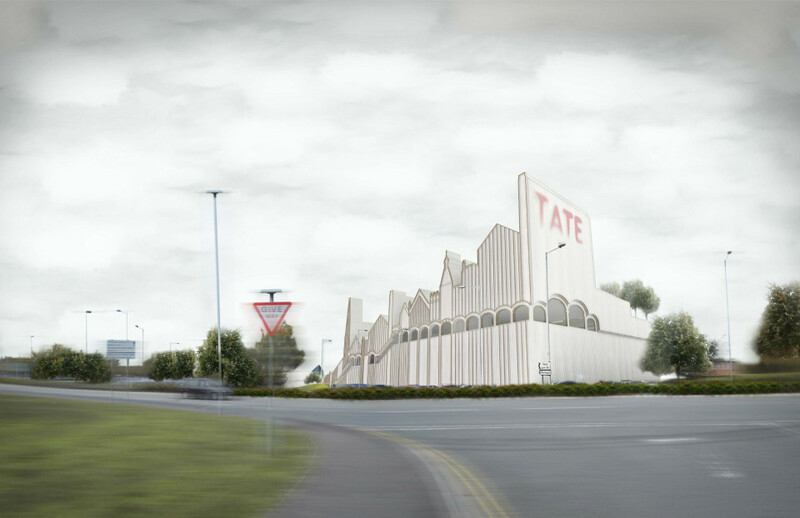 The car enters the retail park and Tate Swindon on the corner, allowing both facades to be read in contrast to one another. 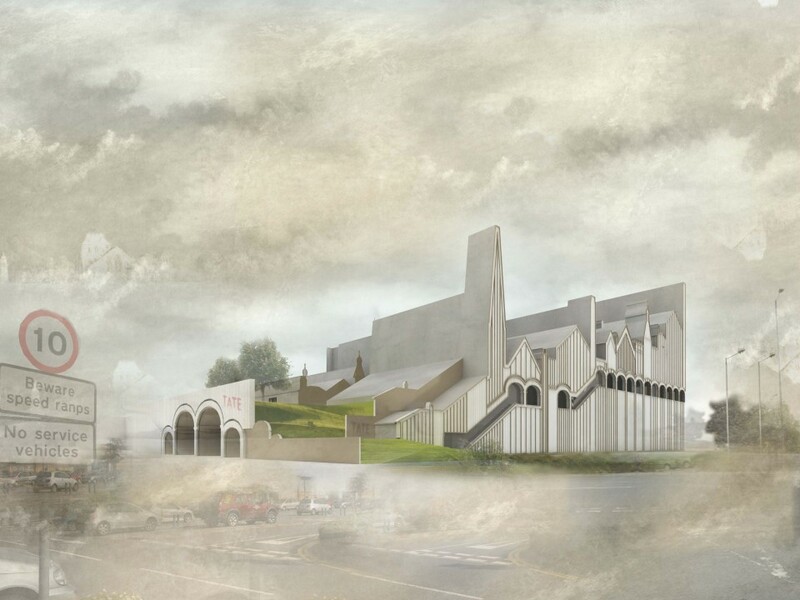 Co-opting the imagery of the Tate Galleries into a single facade reduces the glorified image of the museum to a decorated storage shed.